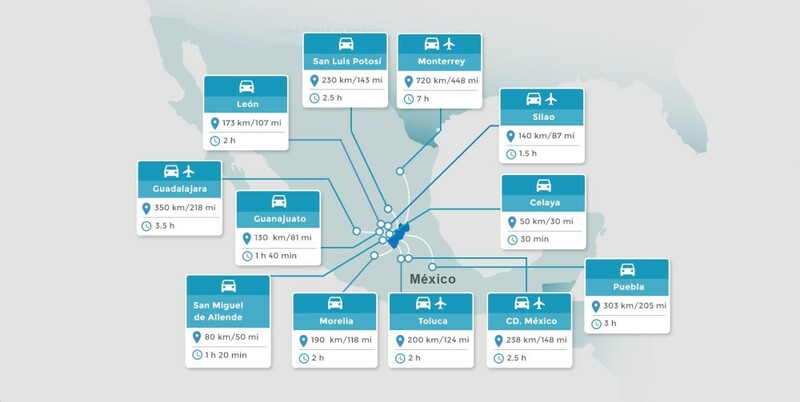 As of today, May 18, 2018 Panalpina has added Querétaro International Airport (QRO) in Mexico to the “Speedy” loop of its Charter Network, which also connects Mexico City (MEX) and Guadalajara (GDL) with Panalpina’s air freight gateway in Huntsville (HSV), Alabama. Querétaro’s addition to the regular connections of the Panalpina Charter Network means Panalpina is the only freight carrier to serve three international airports with scheduled flights within and out of Mexico. Panalpina is also the first and only company to offer a transatlantic flight from Querétaro to London Stansted Airport (STN) in the UK and to Luxembourg (LUX) via Huntsville (see schedule below). Government representatives, members of the port authority, partners and customers will be present at an event today to celebrate the first scheduled landing of the Spirit of Panalpina at Querétaro International Airport. A customer induction took place yesterday, May 17. The new Querétaro lane reflects Panalpina’s growth in aerospace and the continuous adaptation of the company’s Charter Network to meet evolving market needs and customer demand in Mexico. 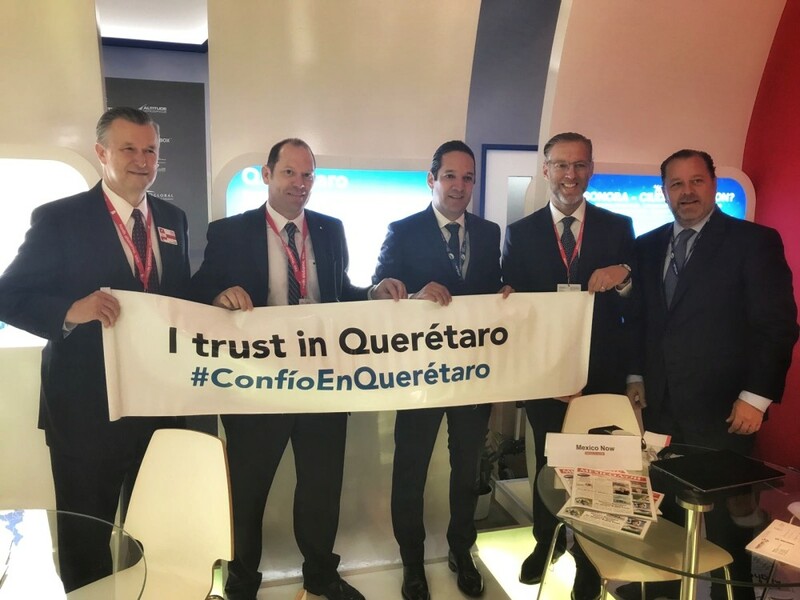 The final decision to accelerate the integration of Querétaro into the Panalpina Charter Network was made at the 2017 Paris Airshow during meetings held with government and private stakeholders. “Panalpina has been committed to Querétaro for over five years now. We have been working closely with Querétaro airport operatives and government authorities, strategic airline partner Atlas Air, and Huntsville International Airport to build on the continued success of the Network,” says Matthias Frey, global head of the Panalpina Charter Network. One of the results of this combined effort is the inclusion of Querétaro in the 747-8 airport compatibility list, as the increased wingspan of the 747-8 puts it into ICAO airport design category F.
In addition, Panalpina offers one more transatlantic roundtrip (LUX to HSV to LUX) using a Cargolux full charter, bringing the total number of scheduled transatlantic roundtrips to five. Panalpina has a long-standing history as the market leader in air freight in Mexico with offices opened in 1963 and the first flight of the Panalpina Charter Network taking off in 1990. “Panalpina’s own scheduled flights connecting the US and Europe with Mexico are a well-known and appreciated product in the Mexican market thanks to a remarkable on-time performance and top-notch equipment,” says Enrico Boehme, Panalpina’s country head of Air Freight Mexico. Querétaro is located in the Bajio region, Mexico’s fastest growing economic area with key industries such as automotive and manufacturing and one of the largest aerospace industry clusters in the world. The city has many similarities with Huntsville, another engineering and aerospace hub, which hosts NASA’s Marshall Space Flight Center among others. Only last month, Germany's chancellor Angela Merkel and Mexico's president Enrique Pena Nieto opened the world's largest industrial technology fair in Hanover, highlighting the importance of Latin America's second-largest economy, and Querétaro sits right at the center of it. “Panalpina is a pioneer in the Mexican air freight market and the new scheduled flights to and from Querétaro are another testimony of that. 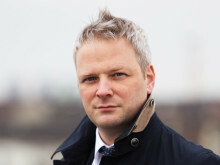 They offer our customers access to our global network, greater flexibility for their supply chains and room to grow. 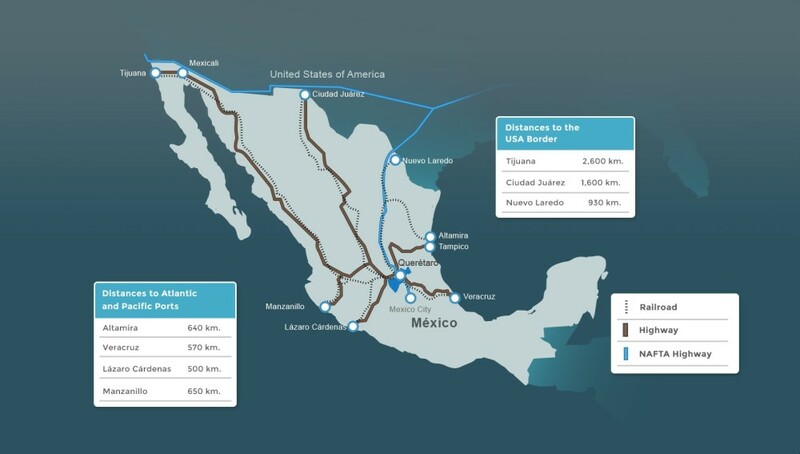 We give local and multinational companies in Mexico the opportunity to export, import and resupply from their worldwide network in a seamless way,” adds Boehme. 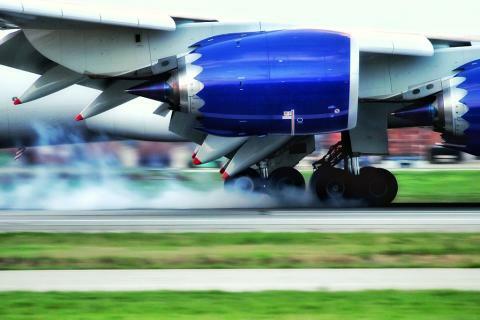 With 995,900 tons of air freight transported globally, 2017 was a good year for Panalpina. And Mexico had a lot to do with it, not only with scheduled frequencies: of the 100 extra flights Panalpina pre-procured to operate regular charters during the peak season across the globe, 25 were Boeing 747 freighter planes flying into Mexico. So far in 2018, Panalpina has organized eleven ad hoc charters for Mexico and ten more are already scheduled for the next few weeks. Panalpina also operates an extra transatlantic roundtrip from Luxembourg to Huntsville and back using a Cargolux freighter that, like all of Panalpina’s Huntsville inbound flights, can connect with an exclusive trucking service and ad hoc charters to all the hotspots in Mexico. 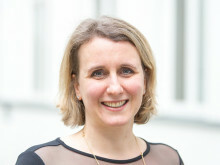 “This unique combination of scheduled and ad hoc charter flights, as well as overland services, means that we can efficiently and reliably distribute imported products to Mexico City, Guadalajara, Querétaro, Puebla, Monterrey, San Luis Potosí, Aguascalientes, and elsewhere,” explains Frey. While Panalpina’s outbound flights in the late 90s were primarily used for the booming high-tech industry and exponential demand for computer technology in northern Mexico, the now-dubbed “Speedy” lane brought all kinds of machinery and automotive cargo into the country, becoming an important part of the supply chain for the remarkable industrialization Mexico has experienced in the last decades. But things did not stop there. For example, Panalpina’s transatlantic fixed schedule plays a strategic role for flying perishables out of Guadalajara, ensuring that Mexican fresh produce is safely steered through the Panalpina Perishables Network on the way to its final destination. “We look forward to expanding the cooperation with our customers in different sectors and are very happy to inaugurate the new Querétaro lane today,” concludes Frey. 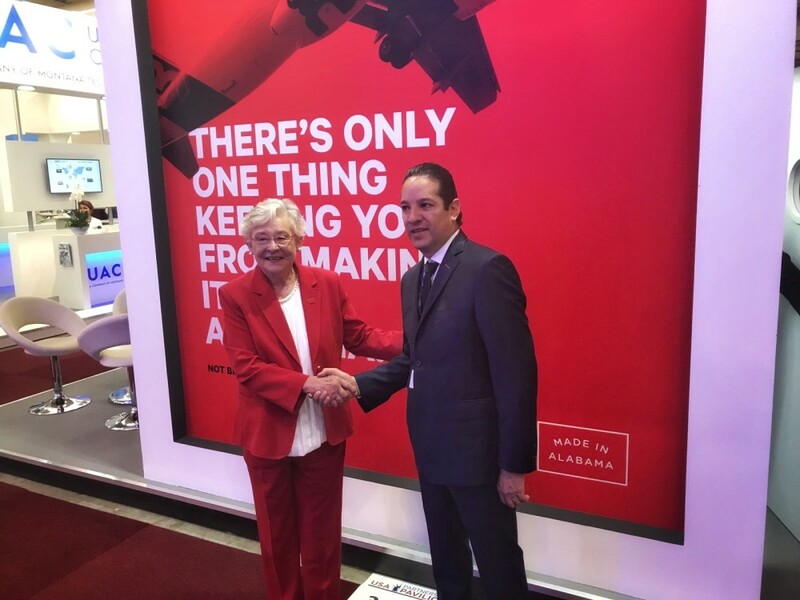 A handshake between Huntsville and Querétaro: State of Alabama Governor Kay Ivy with Francisco Dominguez Servien, Governor of State of Querétaro, at the Paris Airshow ‘Le Bourget’ in June 2017. From left to right: Rick Tucker - Executive Director at Port of Huntsville, Matthias Frey – Global Head of the Panalpina Charter Network, Francisco Dominguez Servien - Governor of State of Querétaro, Marco del Prete Tercero - Secretary of Sustainable Development of Querétaro, and Luis Felipe Rivas Villanueva - Director Terminal Logistics Querétaro at the Paris Airshow ‘Le Bourget’ in June 2017.